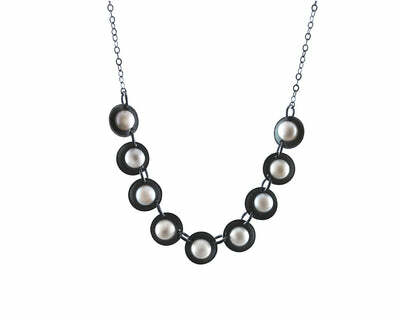 A contemporary design with clever construction. 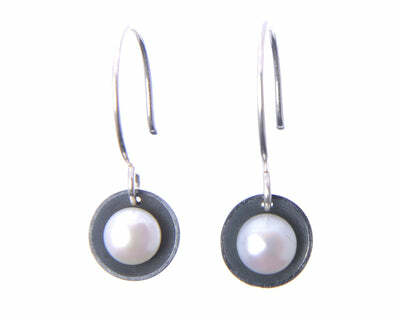 These earrings are riveted together with a forged silver wire that doubles as the earwire. 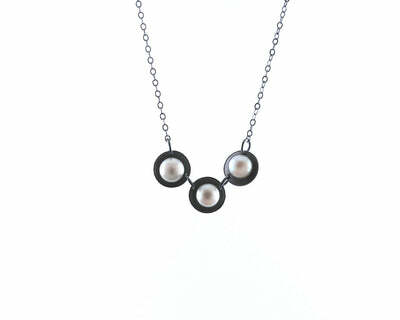 The silver triangles are oxidized, framing 2 fresh water pearls. They hang 2" in length.